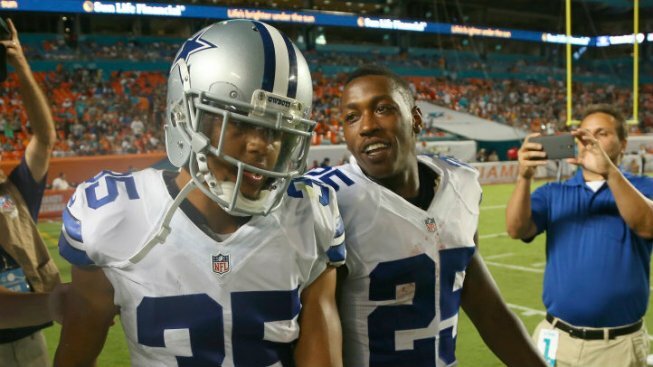 In the aftermath of Orlando Scandrick’s season-ending knee injury, it only makes sense that the Dallas Cowboys would turn to Tyler Patmon, a second-year corner who has reminded the team of Scandrick in his year and change in Dallas. An Oklahoma State product, Patmon came to the Cowboys on a mini-camp invite last May and showed the staff enough to earn a contract. He went on to appear in 11 games and record eight tackles and an interception, which he returned 58 yards for a touchdown. Patmon himself has noticed the similarities between he and Scandrick.